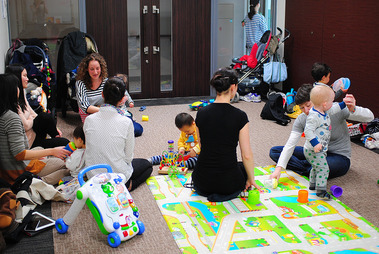 Parishioners meet for play dates or field trips with their preschool children. Call Colleen Copple to find out when the next play group will meet . ​Weather dependent, the playgroup takes place at Shaw Park or the Parish Center. Please RSVP on Facebook or by emailing liz.maritz@gmail.com. • Tuesday February 27, 2018; 10:30 a.m.
• Tuesday March 20, 2018; 10:30 a.m.
• Thursday April 12, 2018; 10:30 a.m. Please RSVP on Facebook or by emailing liz.maritz@gmail.com.